A chic red gown whose classic design a accentuates the bodyshape. Special back darts are there to help shape the garment. 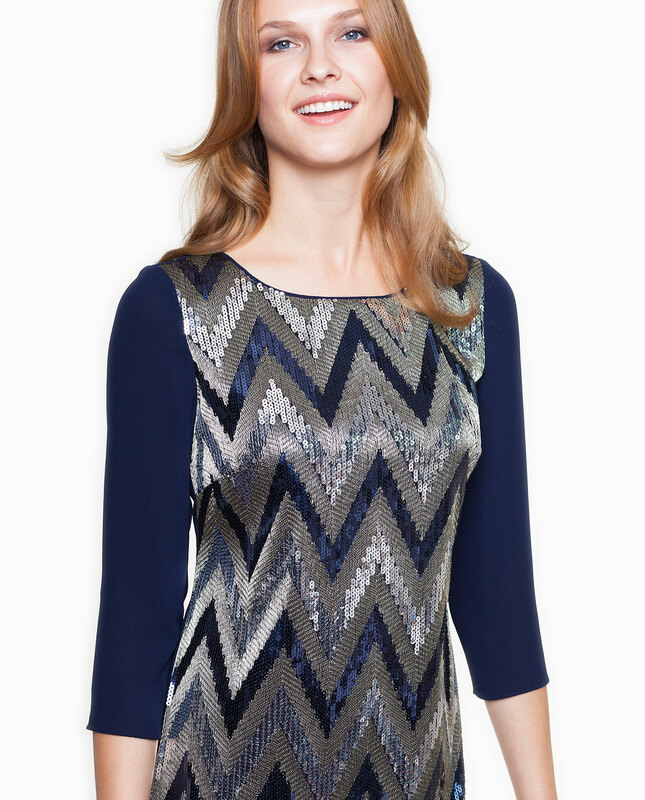 Sequin embroidery work adorn the bottom and the sleeves. A delicate back V-neckline attracts the attention and infers a very female look. There is a hidden back zipper and a lining which enables to wear it with comfort. An ideal pick for an evening out.